2017 is being the best year in my life. 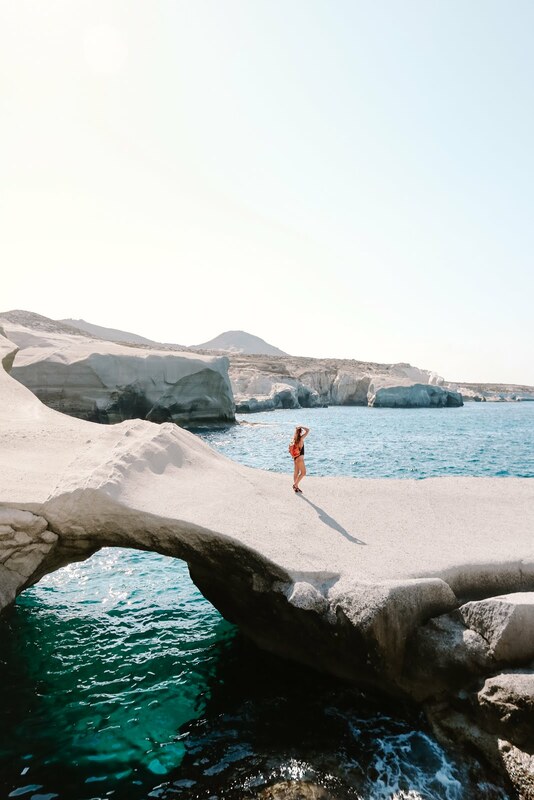 I had been wanting to visit Greece for a long time and Sarakiniko beach in the little island of Milos was one of the reasons that made me want to visit this country. Milos is not the most touristy island in Greece but I’m sure that popular islands like Mykonos and Santorini are jealous of it. 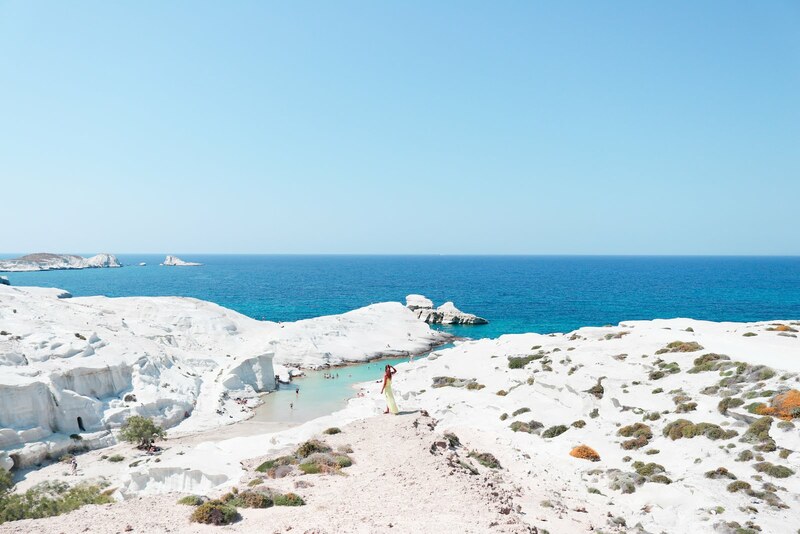 Milos is quiet, far from crowded and full of treasures. They found Venus here maybe because this island is literally full of beauty. 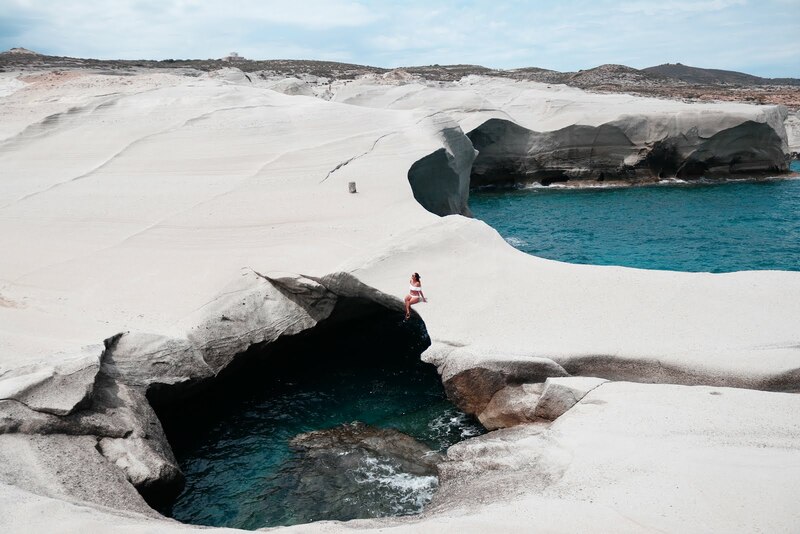 The pictures of Sarakiniko I had seen before were more than enough to convince me to visit Milos. It’s often considered one of the best beaches in the world and to be honest, I didn’t know much more about this island before arriving there. 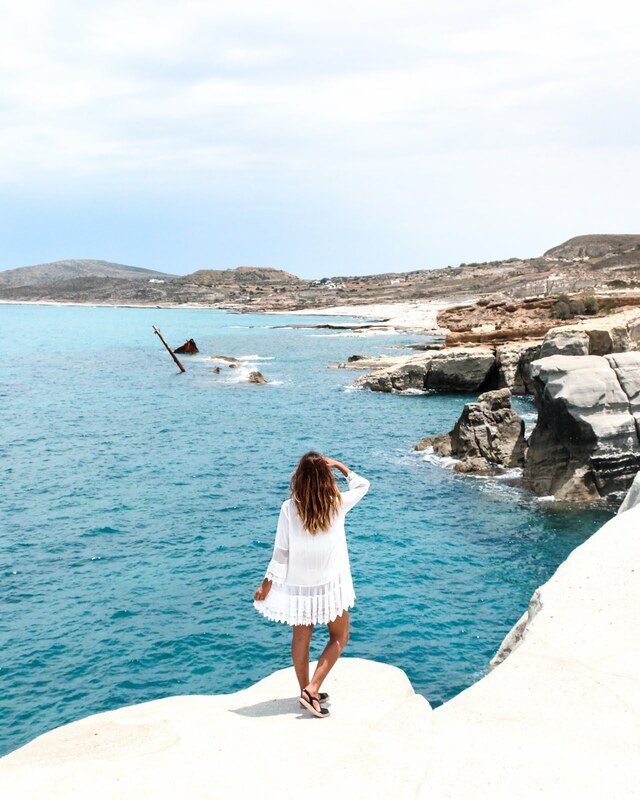 Milos and Syros were the biggest discoverings last summer in Greece. 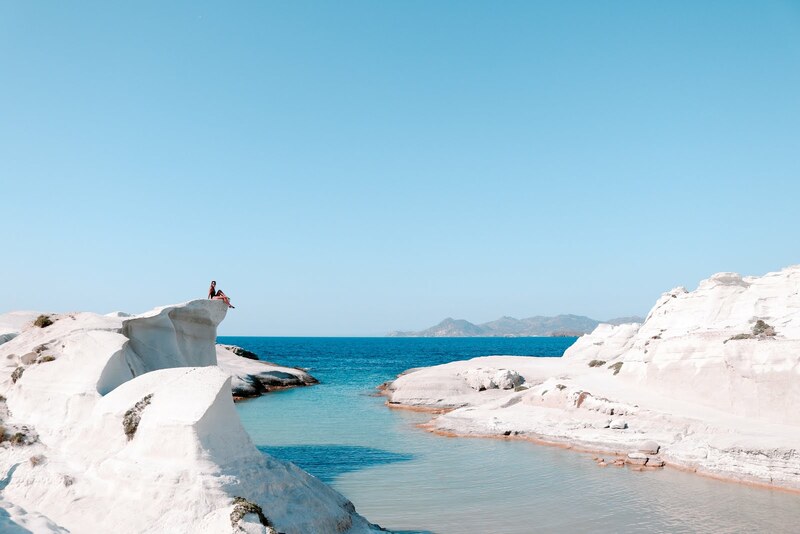 Sarakiniko is the most popular beach in the island of Milos. It’s one of a kind, and it takes you to the moon with its otherworldly landscapes and its turquoise waters. My first impression of the beach, however, was slightly disappointed. I felt my heart breaking when I was getting to the beach: it looked tinier than I imagined it would be. 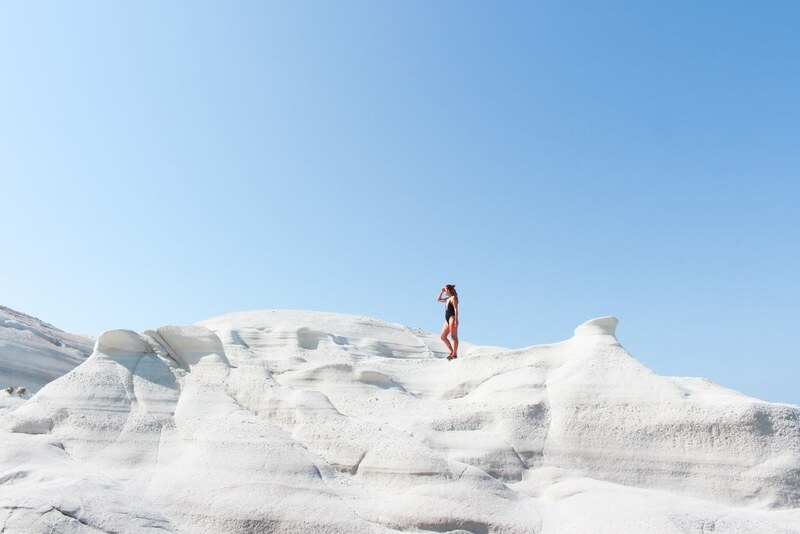 Luckily, once I was in the beach, surrounded by those intense white rocks I was nothing but amazed. It’s an amazing place for photographers! Most tourists stay at the beach and I understand why: I spent some time in the waters too! 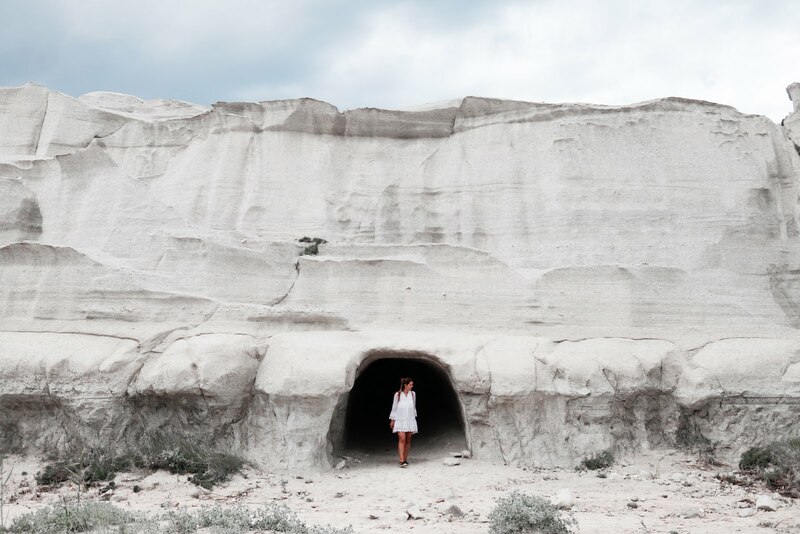 However, if you visit Sarakiniko don’t stay ONLY at the beach and explore the surroundings! You’ll find awesome cliffs to jump to the water – if your brave enough, and also caves. Sarakiniko has an old mine too. 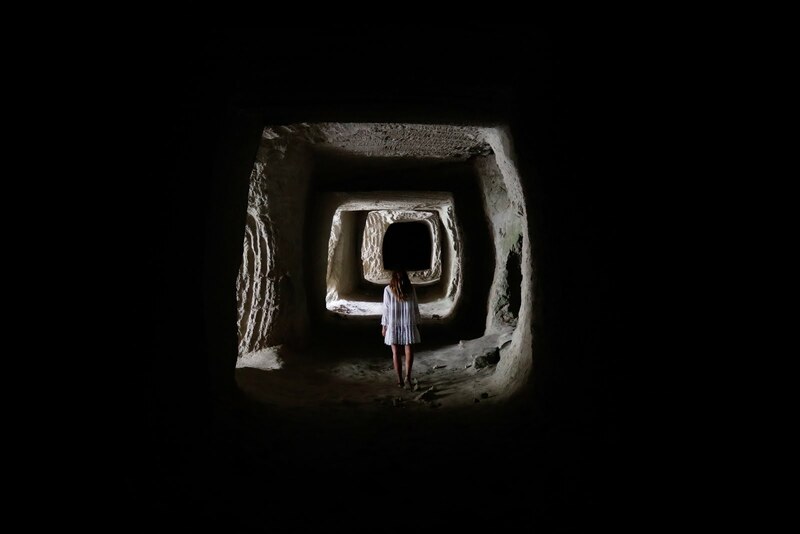 If you decide to explore it turn on the flashlight on your phone: there are huge slopes in the darkest places. When we thought we had explored everything we found the ship wreck. I loved Sarakiniko for having so many places to explore in it. Las rocas de Sarakiniko están compuestas por cenizas volcánicas, que en contacto con el mar y los vientos acabaron teniendo esas formas y color característicos. Take care in the cliffs: you can easily slip and fall. Some of the rocks may break if you step on them, specially if it has rained before. And do not recreate my picture, it may be dangerous! Adamas: Adamas is where the main port is located. We chose to stay in this area and we spend our days in Alexandros Village, which I can highly recommend! Pollonia: the quiet option, right in front of the small island of Kimolos. This area is the favorite one for honeymooners. Hurry up if you want to visit this beach: I’m afraid it’s not going to be a secret anymore! 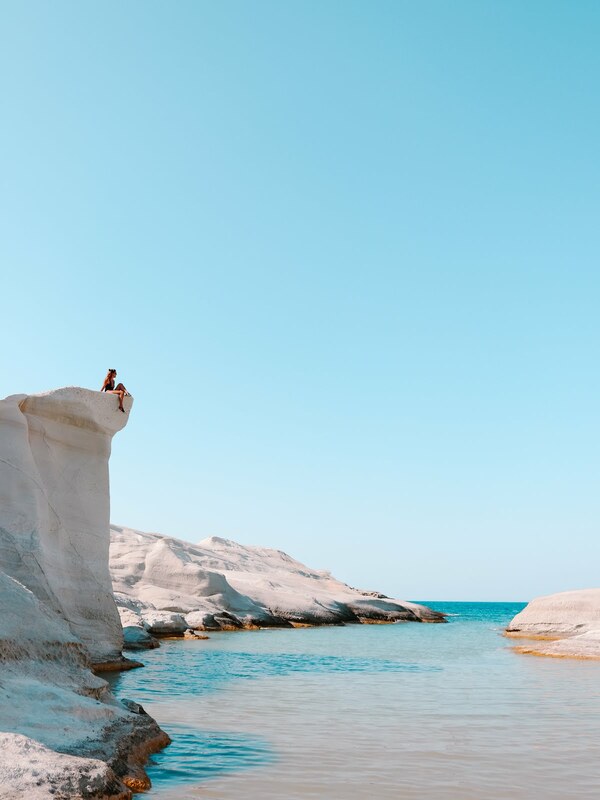 We visited it at the beginning of June and it was the perfect moment: Milos is not so popular as other Cyclades islands but I’m sure it will become the next island to visit soon. Go now!